If you're looking for a nimble city car that's exciting to drive and effortless to park, then check out the new 2019 Chevrolet Sonic, available at your local South Portland dealership. This highly rated compact car is perfect for traveling through city roads. With a 7-inch touchscreen infotainment system, the available 4G LTE Internet connectivity with Apple CarPlay/Android Auto, and built-in Wi-Fi, this vehicle ensures that you have a pleasant driving experience. Head down to Pape Chevrolet and take this vehicle home. Explore the new 2019 Chevrolet Sonic models at our South Portland dealership and choose the color and features that are right for you. 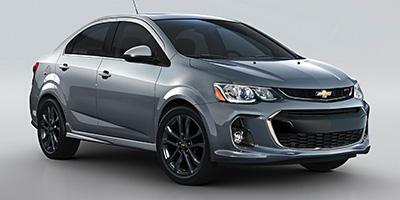 If you would like to test-drive a new 2019 Chevrolet Sonic, then simply call our dealership at (800) 607-2996 or contact us online. We will be happy to schedule an appointment for you!